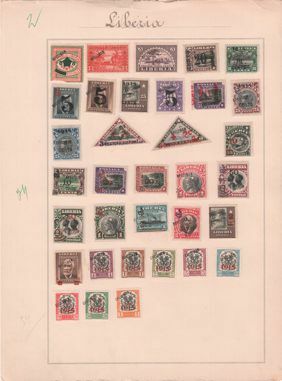 A total of 185 stamps affixed to 9 album pages. 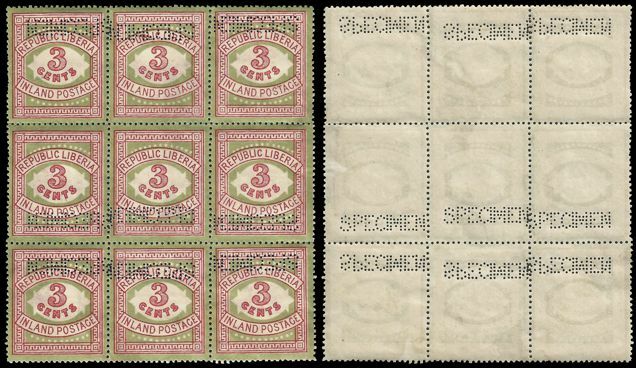 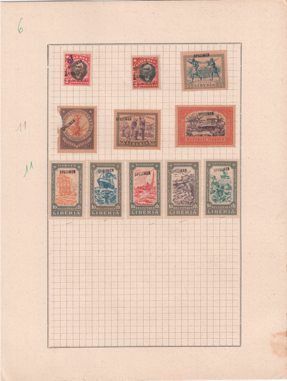 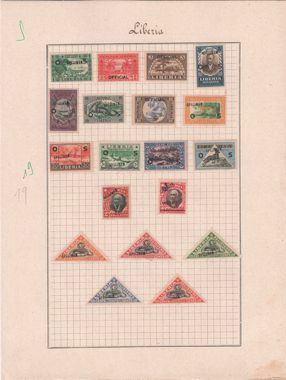 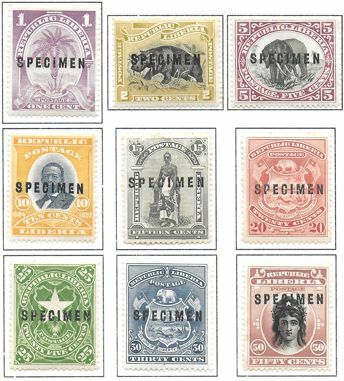 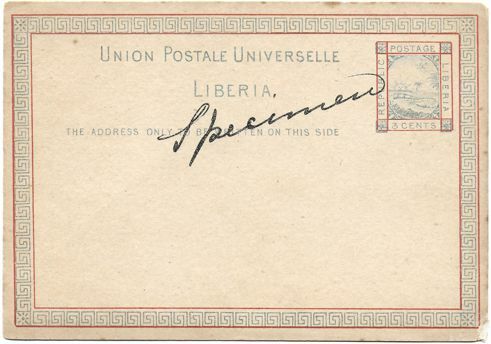 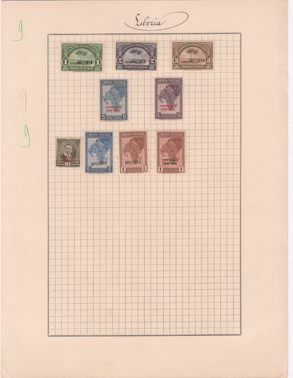 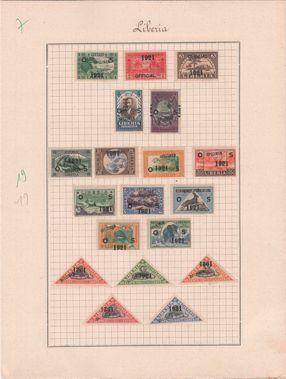 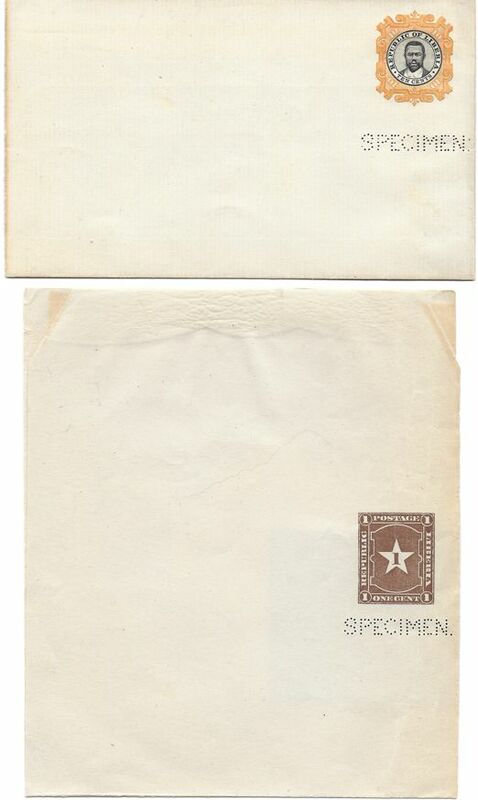 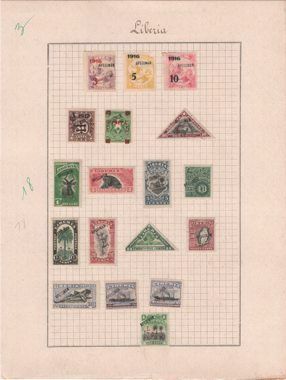 Of these, 35 are overprinted or perforated SPECIMEN as distributed by the UPU and recorded by Rogers, 5 stamps are in normal unused condition, and exceptoinally the other 145 have been handstamped SPECIMEN in semi-bold sans-serif caps (12.8x2.6mm) by the Tunisian Receiving Postal Authority after arrival from the UPU (note that incongruously 8 of these are the 1915 issue of the Dominican Republic!). 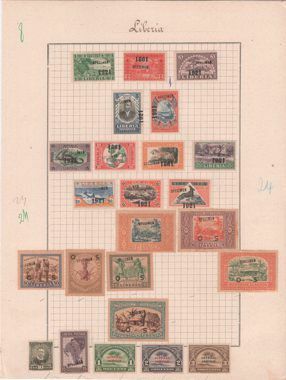 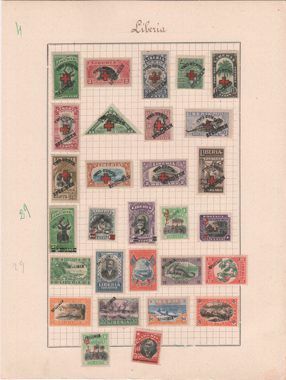 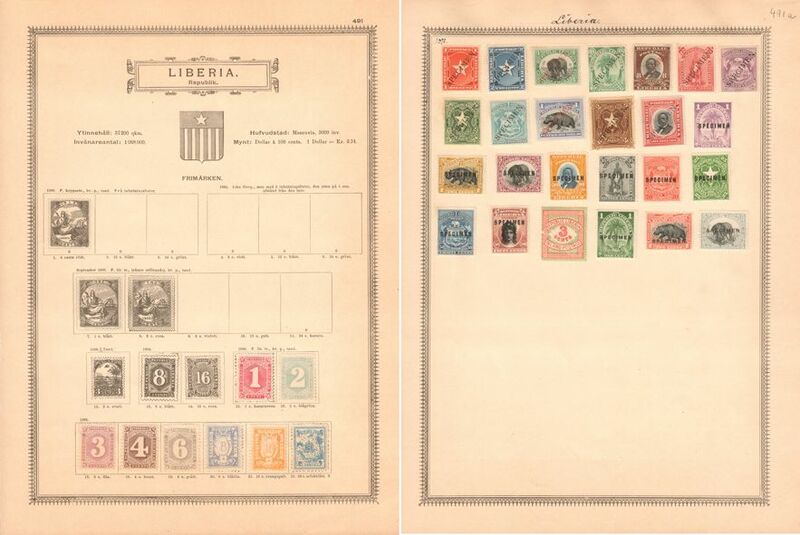 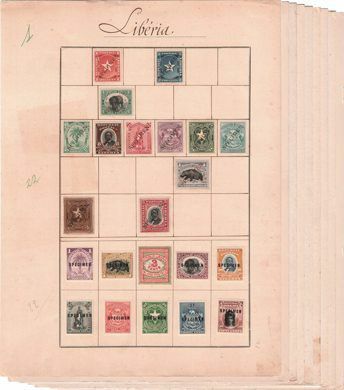 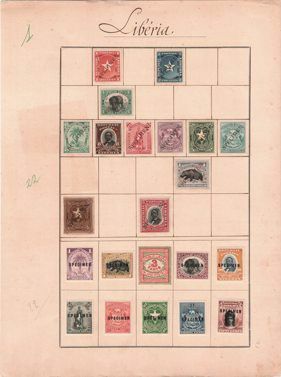 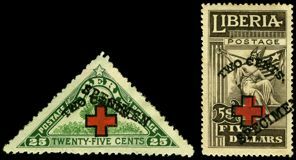 A truly magnificent and unique record that includes almost all the basic stamps of the period with a good selection of the numerous local overprints and surcharges. 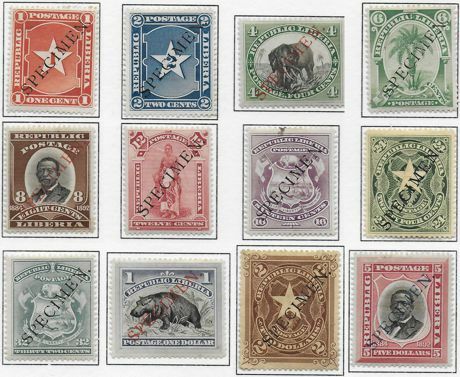 For more information on the Tunisia (and other) archives see my 2015 UPU Specimen Stamps 1878-1961.